Sit at your own risk: Sanders is firing back at the legacy media reporters in the White House correspondents press corps who sit in the press room’s most coveted seats. The first two rows of seats at the daily White House press briefings are reserved for the legacy media. The big names, once revered and respected. These days they’ve become mere cannon fodder for a very feisty deputy press secretary Sarah Huckabee Sanders. Here is an example of Sander’s return fire at the White House’s July 13 presser, responding to a question about U.S Rep. Trey Gowdy’s (R-SC) recent public statements that the Russian inquiry’s drip, drip, drip of negative news is eroding the credibility of the Trump Administration. “I think it’s actually undermining the credibility of the media because they drip, drip, drip a lot of things that don’t seem to have much to — much ado about nothing,” Sanders shot back, incredulously. Peppered with questions about Donald Trump Jr.’s emails and his meeting with a Russian lawyer who claimed to have dirt on Hillary Clinton, Sanders offered little fodder. But she consistently turned the tables – to the Clintons. When pressed by CBS’s Major Garrett on the issue of “amnesia” by Trump family members and campaign operatives – Garrett asked, “Why can’t anybody remember these Russian meetings? 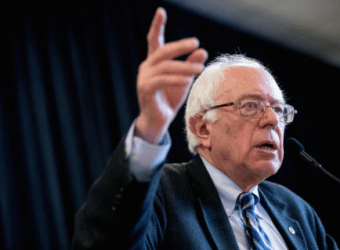 Why the plague of amnesia about these Russian meetings?” — Sanders quickly pivoted and responded with a salvo of here own. “I think if there’s been any evidence of collusion in 2016 that’s come out at all or has been discussed that’s actually happened, it would be between the DNC [Democratic National Committee] and the Ukrainian government,” Sanders said. Sanders also brought up the so-called Trump “dossier,” which is a fancy French word for opposition research. “Ukrainian actions to coordinate with the DNC were actually successful, unlike anything shown by Don Jr.’s emails,” Sanders replied. Naturally, the legacy media has conveniently ignored of all of those stories, along with Benghazi and Bill Clinton’s infamous tarmac meeting with then Attorney General Loretta Lynch – who was supposedly investigating his wife. When asked about those within the administration who had subsequently admitted to or finally conceded they had contacts with Russians — Mike Flynn, Jared Kushner, Jeff Sessions and Don Jr., Sanders, not missing a beat, shifted directly into battle mode. 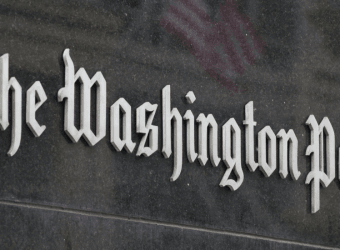 The Washington Post, once a bastion of effective investigative journalism, has declared war on the truth. It’s a war of propaganda, fake news and slippery words. It’s a war on the supporters of President Trump and his “America First” agenda. The completely manufactured news story yesterday in The Washington Post –“Trump Leaked Classified Info to Russia”—is beyond the pale of legitimate journalism, even for the Post’s editors. Their bogus story was based on non-collaborated “sources” that amounts to little more than third party heresy. The Post got their story from a former administration official (Obama administration) who got it from another former administration official who got it from somebody at an undisclosed agency somewhere. For Post editors, this fantasy trail apparently sufficed for the truth. Meanwhile, Secretary of State Rex Tillerson, NSA Director Gen. H.R. McMaster and Deputy Dina Powell, three high-ranking administration officials who actually attended the meeting all vehemently denied the third-party sourced accounts. They were there. The Post’s sources were not. The Post editors apparently found those first hand accounts to be lacking in interest. So they went with a former Obama official’s subjective and unsubstantiated dribble. The former was true. The latter better fit their false narrative. One would expect to see this in “The Onion” or some left-wing blog — but never in a legacy newspaper with the history and dignity of The Washington Post. This is a shot that is going to be heard around America. The Post, once the muscular icon of holding Washington pols accountable has laid down the gauntlet. Facts and truth are now subservient to the newspaper’s political and ideological agenda. Their relentless mission to squash the Trump movement and bring down the Trump Administration now reins supreme over even feigning legitimate reporting. To Post senior editors, truth and the facts are now unavoidable collateral damage in a time of war. The Post’s new owner, Amazon’s Jeff Bezos, has made hundreds of millions of dollars off cheap labor and scam work visas from open borders and the international globalist slave trade network. Bezos worships at the altar of the status quo. Trump threatens change. Too much money is at stake for Bezos’ empire to worry about telling the truth to the working class people who elected Trump. After all, if Trump succeeds, Bezos might have to hire American workers in Silicon Valley and pay them a legitimate wage. This story was concocted with no basis in truth with on the scene witnesses saying it didn’t happen. Yet they went with it anyway. The Post has declared war on you, the reader. They think you are really dumb. I suppose facts to Post editors are pesky things that get in the way of their overall objective. So they stopped being news. Now they’re just an arm of the Trump resistance, masquerading as a newspaper.